Tribes and Empires: Storm of Prophecy is a Chinese drama which is starred by Huang Xuan, Shawn Dou, Zhou Yiwei. It’s called as Chinese Game of Thrones and involves eight tribes. The story takes place in a fictional world of Novoland, the sixth prince Muyun Sheng is predicted to bring doom once he sits in the throne. The devil king’s soul is sealed in the the sixth prince’s body, he is forbidden to hold the sword of emperor. Hence, emperor Muyun Qin lets him live in his palace but avoids to see him as he knows there is a devil living in his son’s body. Muyun Sheng doesn’t understand why his father treats him in such way until his brother Muyun Hege reveals his mother is still alive and disfigured by his father. The general Muru Shuo’s son Muru Hanjiang is predicted to be next emperor when he was born. Muru Shuo threw off his son when he was a baby. However, Muru Hanjiang appears in front of his father and is arranged to be Muyun Sheng’s guard. 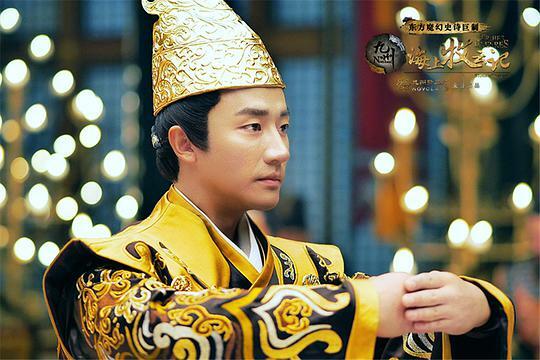 As Shuofeng tribe’s king, Shuofeng Heye’s parents are killed as he brings the message about Muyun Sheng’s birth secret. Shuofeng Heye, Muyun Sheng and Muru Hanjiang become friendd, but is hostile after he finds the truth. Huang Xuan: He acts the emperor’s 6th son Muyun Sheng who is destined to go evil as there is a devil king living in his body in Tribes and Empires. Huang Xuan played Cheng Jiayang in Chinese drama “The Interpreter” with Yang Mi in 2016. Shawn Dou: He plays a miserable man who was thrown off by his father since he was a baby. His father also forbids him to approach his lover as she is sixth prince’s woman. 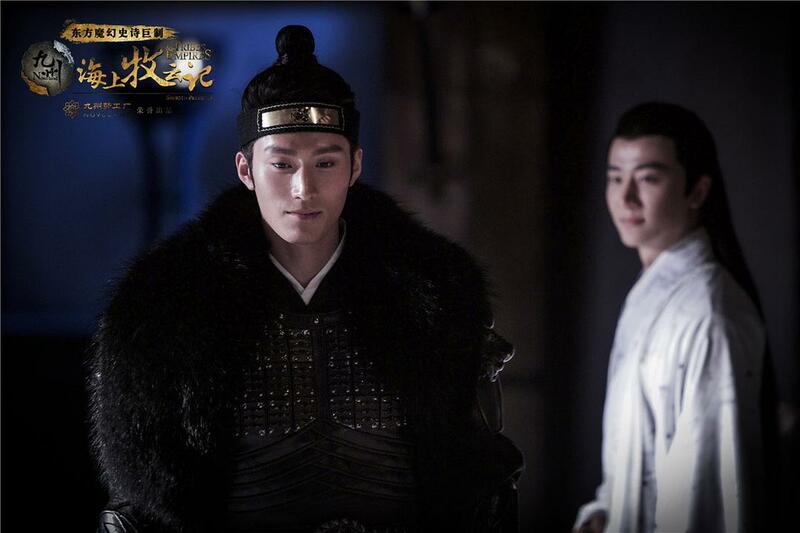 Shawn Dou acted Yan Xun in Chinese drama “Princess Agents” with Zhao Liying. 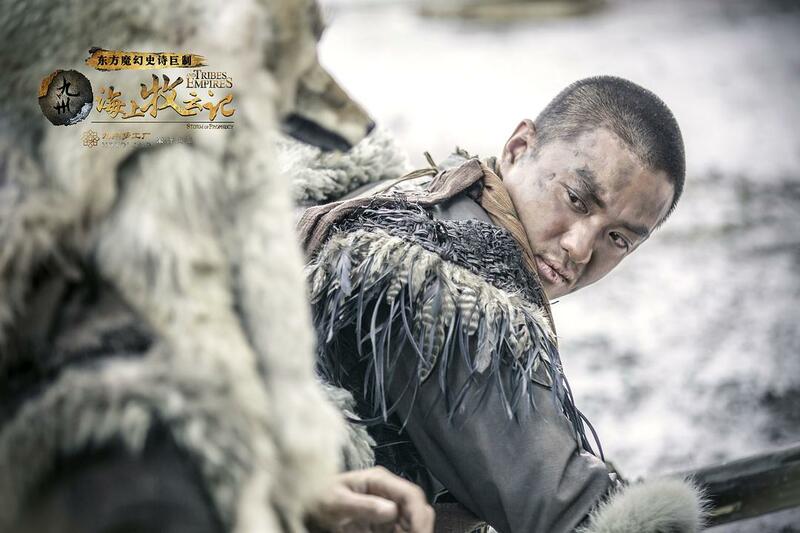 Zhou Yiwei: He acts a king Shuofeng Heye who lost his parents as he saved a man. Zhou Yiwei wants to get revenge but becomes the princess Zhang Jianing’s slave. His revenge journey is tough in Tribes and Empires.